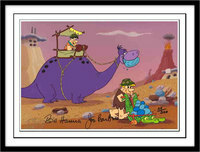 The Flintstones is about a working class Stone Age man's life with his family and his next door neighbor and best friend. 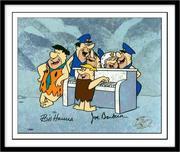 The first prime time cartoon geared for adults, the show originally aired from 1960 to 1966, on the ABC network. 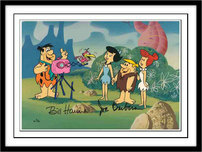 It was also ABC's first series to be televised in color. 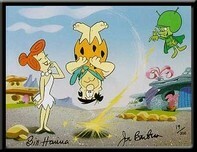 While the show was originally syndicated by Screen Gems, Warner Bros. Television later acquired the rights (through parent Time Warner's purchase). 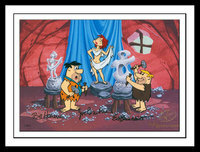 Originally, the series was to have been titled The Flagstones, and a brief demonstration film was created to sell the idea of a "modern stone age family" to sponsors and the network. 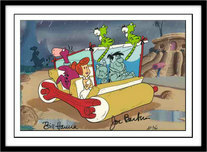 When the series itself was commissioned, the title was changed, possibly to avoid confusion with the Flagstons, characters in the comic strip Hi and Lois. 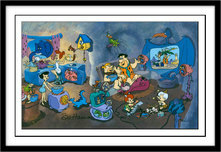 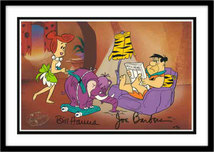 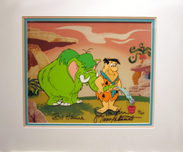 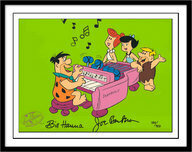 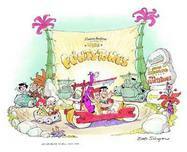 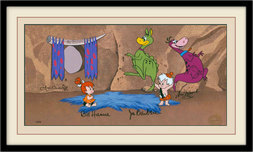 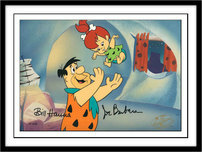 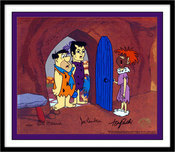 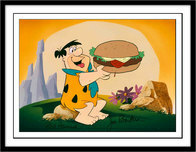 After spending a brief period in development as The Gladstones, Hanna-Barbera settled upon The Flintstones.